Glucosamine Chondroitin MSM With Natural Astaxanthin Sulfur-containing methylsulfonylmethane (MSM) is included in this glucosamine and chondroitin combination to provide an enhanced spectrum of nutrients for optimal cartilage matrix composition, connective tissue strength, and joint comfort. Glucosamine promotes the synthesis of the glycosaminoglycan chondroitin sulfate. Chondroitin sulfate is responsible for building the ground substance of cartilage, molecules known as proteoglycans. In addition, chondroitin sulfate blocks the action of degradative enzymes. An important role of sulfur from MSM is to enhance the structure and integrity of proteoglycans. Pure Encapsulations Glucosamine and Chondroitin with MSM offers highly purified constituents for healthy cartilage formation and joint movement ease. Trioxil® (bisazulene gel) 14% is a totally new innovation in acne treatment. Trioxil® (bisazulene gel) 14% is a new powerful anti-bacterial and anti-inflammatory compound that is at the same time soothing and calming on the skin – a moisturizer is not needed. Stronger anti-bacterial activity against P. Acnes then Benzoyl Peroxide. Most people see a significant improvement in acne and over-all condition of the skin in just 2 weeks of use. Encapsulated in nanonsomes – tiny microspheres penetrate into the deepest layers of the skin to release the active ingredients over a 12 hour period. Causes of Acne Research at DS Laboratories has shown that acne only occurs in individuals with a pore structure that does not allows easy flow of sebum to the surface of the skin. Therefore having oily skin does not necessarily cause acne as long as the pore (follicular duct) does not become blocked. The tendency of the follicular duct to become blocked has nothing to do with diet, stress, or hygiene. Our pore structure is something that we are born with and some people have pores that allow unobstructed flow of sebum and these individuals will never get acne even during puberty. However, people with oily skin and pores that have a tendency to trap oil will have a more severe acne condition. Therefore, only if the pore structure has tendency to become blocked (we are born with this condition) would the skin form acne. Also, if the pores can become blocked but the sebaceous glands produce very little oil then this person is not likely to develop acne. The sebaceous glands lie just beneath the skin’s surface. Generally at puberty, increased levels of androgens (male hormones) cause the glands to produce too much sebum. When excess sebum combines with dead skin cells, a comedo forms that blocks the pore. Mild noninflammatory acne consists of whiteheads and blackheads. Moderate and severe inflammatory types of acne result after the blocked follicular duct is invaded by Propionibacterium acnes bacteria which everyone has on their skin. Inflamed pimples near the skin’s surface are called papules, deeper lesions are called pustules. Bisazulene is a new compound that is unlike anything else you have tried before. Trioxil® (bisazulene gel) 14% is a modified form of naturally occurring compound found in chamomile flowers and encapsulated in nanosomes. The pharmacological activity of this compound has been shown in clinical studies to be antibacterial, antimicrobial, fungicidal and at the same time anti-inflammatory. If you have tried other acne medications containing benzoyl peroxide, salicylic acid, and tretinoin that did not work for you then Trioxil® may be a solution for your acne – it is a totally new innovation and a remarkable breakthrough in acne treatment. While other acne medications containing bezoyl peroxide, salicylic acid, or tretinoin have strong antimicrobial activity on Propionibacterium Acnes, these medications cause severe over-drying and irritation of the skin. This causes the body to respond by producing even more oil to combat dryness thereby starting a vicious never ending cycle. Trioxil® is the only acne medication that has antimicrobial activity against Propionibacterium Acnes bacteria while at the same time deeply calming and soothing the skin. In fact, the bisazulene compound (a very strong antimicrobial and antibacterial) is actually derived from chamomile flowers which have soothing and calming properties. Thus Trioxil® treats both of the underlying causes – the bacteria involved in acne pathogenesis and the inflammatory response of acne. Other ingredients: Extracts of Ginseng, Hamamelis, Wheat-germ Nanosomes, Barley-germ Nanosomes, Arnica Nanosomes, deionised water, yeast and horse chestnut, D-Panthenol, Alpha Bisabolol, Tea Tree Oil, Isopropyl Myristate, Polysorbate 80, Triethananolamine, Carbomer, and Methyl Paraben. Get ready for perfect skin: Trioxil® (bisazulene gel) 14% is indicated for mild to moderate facial acne vulgaris and requires just one application per day. You should apply a thin layer (more is not better) over the entire facial area after washing gently with a high quality cleanser. Treating your acne with Trioxil® Apply one pea-sized dose to cover your entire face, avoiding the more sensitive areas around your eyes, nose and corners of the mouth. 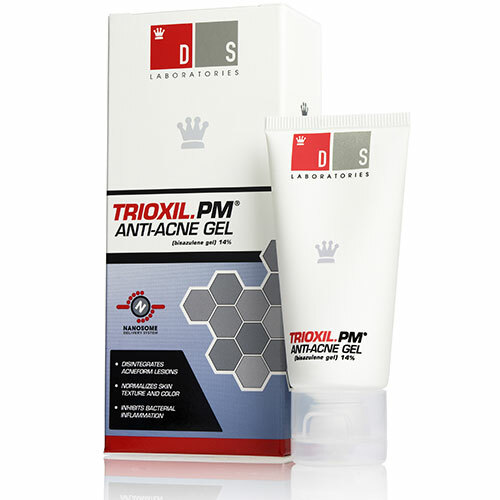 Don’t spot treat by putting more Trioxil® directly on the pimples. This won’t clear them up faster. Dab it on your forehead, chin and both cheeks. Spread evenly over your entire face. We highly recommend adding Hydroviton CR to your treatment program to boost your results with Trioxil® (bisazulene gel) 14%. Because bisazulene actually deeply moisturizes and calms your skin, the use of a moisturizer is not required. What to expect during treatment. Depending on the severity of your acne, in the first few weeks your acne may actually begin to look worse. It is important to stick to the treatment without skipping applications. However, most people will see an improvement within just 2 weeks of use. Unlike with other popular acne treatments, you will not experience any burning, redness, or itching. Trioxil® (bisazulene gel) 14% will continuously improve your acne condition while deeply calming and moisturizing the skin. Trioxil FAQ Q: How does Trioxil® work? A: The precise mode of action of Trioxil® is not known. However, our research shows that Trioxil® attacks acne in several ways; by inhibiting the proliferation of bacteria, normalizing sebum production, reducing inflammation, and restoring proper pore function by preventing "stickiness" of the pores. Trioxil® prevents future outbreaks since the pores can more easily pass sebum to the surface of the skin without becoming blocked. Q: What is the main ingredient in Trioxil®? A: Trioxil® contains bisazulene, a unique compound derived from chamomile flowers. Trioxil® also contains Arnica, Witch Hazel, Ginseng, Horse Chestnut, and Tea Tree Oil to enhance the carrier agent compound for additional benefits to the skin. Q: What kind of results should I expect with Trioxil®? A: Improvements will take place gradually as the formation of new blemishes stops and existing blemishes start to heal. It is important to be patient and stick to the treatment without skipping applications. Since Trioxil® does not irritate the skin, you may notice a slight improvement after just a few days of use due to a reduction in inflammation and the calming effect on the skin. Full results from Trioxil® treatment will be seen after 12 weeks of use. Q: What are the possible side effects of Trioxil®? A: Unlike other medications containing tretinoin, benzoyl peroxide, or azelaic acid Trioxil® has very high tolerability and will not irritate or burn the skin. However, you may feel mild stinging when you apply Trioxil®. This feeling is normal. While you use Trioxil® to treat acne, it will at the same time deeply moisturize and nourish the skin eliminating the need for a moisturizer. Q: What are Nanosomes and how do they work? A: Trioxil® uses the DS Laboratories advanced nanosome technology. Nanosomes are tiny capsules that carry the active ingredients deep into the epidermis tissue and release them over a 12 hour period. This dramatically enhances the effectiveness of the bisazulene compound and speeds up the results. Q: How often should I apply Trioxil® medication? A: Trioxil® should be applied only once per day, preferably before bedtime. Apply only a thin layer – more is not better. To apply the medication, dab Trioxil® on your forehead, chin and both cheeks; then spread it over your face. Don’t spot treat pimples by putting a dab on each pimple. Trioxil works by applying a thin layer over the entire face. Q: What can Trioxil® do for my skin that over-the-counter acne medications can’t? A: Trioxil® is a breakthrough acne medication that works very differently from over the counter (OTC) preparations. OTC products typically dry out the skin to eliminate oil and kill bacteria on the skin. However, in most cases these products can actually make your acne worse by over drying the skin and causing irritation and redness in addition to acne. Trioxil® contains the bisazulene compound that actually calms and moisturizes the skin while killing bacteria, controlling sebum production, and restoring proper pore function. The key difference, is that OTC preparations typically do not address the problem of "stickiness" within the pore structure – the main underlying cause of acne. Q: Can I go out in the sun while using Trioxil®? A: Trioxil® does not cause photosensitivity and your skin is not prone to get burned during your treatment. As always, be responsible with the sun and limit over exposure. Sun is only good for you in small amounts. Q: What happens to my skin during treatment with Trioxil®? A: Depending on the severity of your condition, your acne may temporarily get worse in the first 2 weeks of treatment. This is due to the elimination of dead cells and sebum from the pores and means that the medication is working properly. It is important to not get discouraged during this period and continue with the treatment plan. However, since Trioxil® has powerful calming and anti-inflammatory effects on the skin many people see an improvement after just a few days of use. Q: Are there any precautions I should follow if I’m using Trioxil®? A: Trioxil is safe and has very high tolerability among patients. Tell your doctor if you are pregnant, trying to get pregnant or are breast-feeding. Q: What will happen if I apply too much Trioxil®? A: You cannot harm or injure yourself by using too much Trioxil®. However, using more or over applying will not make it work faster or better. Q: Can I use an over-the-counter productsthat contains benzoyl peroxide or salycilic acid at the same time I’m using Trioxil®? A: There are no contraindications, however, Trioxil® is a very powerful acne medication and it is not necessary to use other compounds in conjunction with the treatment. 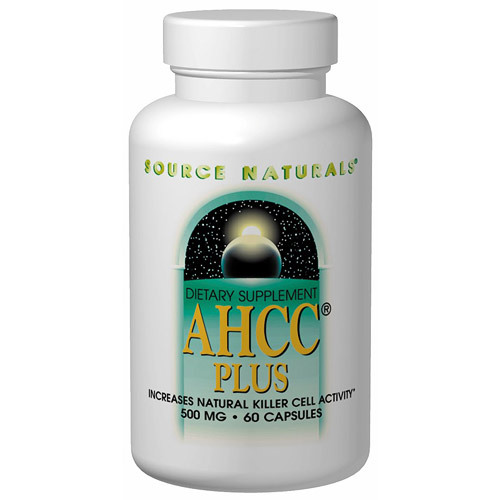 AHCC Plus Increases Natural Killer Cell Activity AHCC Plus combines AHCC, a proprietary compound researched extensively for its immune enhancement properties, with three powerful immune and cellular defense nutrients – selenium, tocotrienols, and gamma vitamin E. According to human and animal research, AHCC may significantly increase Natural Killer (NK) Cell activity, increase macrophage activity, enhance cytokine production, support healthy liver function, as well as act as an antioxidant. Some scientific evidence suggests that consumption of selenium and antioxidant vitamins may reduce the risk of certain forms of cancer. However, the FDA has determined that this evidence is limited and not conclusive. More AHCC Information Supplement Facts Serving Size: 2 capsules Amount %DV Vitamin E (as d-alpha tocopheryl and d-alpha tocopherol) 155 IU 520 Selenium (as L-selenomethionine) [SelenoPure]) 80 mcg 110 AHCC Proprietary Blend: 1 g Mushroom Mycelia Extract, Candelilla Wax, Cyclodextrin, and Microcrystalline Cellulose. Gamma E Complex 160 mg Tocotrienol Complex (Tocomax) 4 mg Other Ingredients: gelatin (capsule), colloidal silicon dioxide, and magnesium stearate. Suggested Use: 2 AHCC Plus capsules three times daily on an empty stomach. For maximum benefit take up to 4 capsules three times daily, or as recommended by your health care professional. Warning: If you are pregnant or breastfeeding, consult your health care professional before using this product. 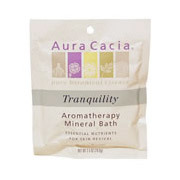 Mineral Bath – Aromatherapy Mineral Bath Salts Indulge yourself and discover the benefits of Aura Cacia aromatherapy! The pure essential oils of natural botanicals offer a variety of benefits, enhancing and balancing your mind, body and spirit. These unique blends of ocean and desert salts, generously scented with 100% pure essential oils. Generously scented – whirlpool and spa compatible. These Aromatherapy Mineral Bath Salts provide a convenient and affordable true aromatherapy experience. These fine-textured salts are carefully blended with just the right mix of 100% essential oils and other botanical and mineral-based ingredients to create the optimum benefits for mind body and spirit. Experience the luxury of Aura Cacia’s aromatherapy mineral baths. Aura Cacia blends mineral-rich ocean and desert salts with the benefits of 100% pure essential oils. The result is a natural formula that rids your skin of old, dead cells, then softens and soothes while filling your senses with a new awareness. Unique blends of essential oils offer specific body, mind and spiritual benefits, helping you achieve a renewed sense of balance and well-being. You emerge, from the tub refreshed and velvety-smooth. These luxurious Mineral Bath salts provide relaxation and the full benefits of aromatherapy. Mineral Bath – Tranquility Ingredients: Sodium borate (borax), sodium chloride (sea salt), sodium bicarbonate (baking soda), (essential oils of lavender, balsam fir needle, patchouli, palmarosa, geranium, roman chamomile). 100% PURE ESSENTIAL OILS, CRUELTY-FREE, NO SYNTHETIC FRAGRANCES OR COLORS, SAFE FOR WHIRLPOOLS AND SPAS. I said, “Spirit is never too late. I give thanks she has received the money on the invisible plane and that it manifests on time.” The next morning her cousin called her up and said, “Come to my office this morning and I will give you the money.” That afternoon, she had three thousand dollars to her credit in the bank, and wrote checks as rapidly as her excitement would permit. Folic Acid Well tolerated by most highly allergic individuals. Supplement Facts Serving Size: 1 Tablet Amount Per Serving % Daily Value Folic Acid 400 mcg 100% Calcium 21 mg 2% Phosphorus 17 mg 2% Other ingredients: Dicalcium phosphate, cellulose, folic acid, croscarmellose sodium, vegetable based stearic acid, magnesium stearate, silica. Free Of Coating, colorings; most common allergens such as yeast, rice, barley, wheat, lactose (milk sugar) and all milk, citrus, fish, and egg products. No added flavorings, sugars, salt, artificial sweeteners, colorings, preservatives or salicylates. Directions As a dietary supplement, take one Folic Acid softgel daily. Women planning to become pregnant, or those already pregnant and lactating, take two tablets daily. So knowledge of the Law gives man power to “rub out his mistakes.” Man cannot force the external to be what he is not. You are currently browsing the Energy Healing For A Stress Free & Peaceful Life blog archives for May, 2007.